Just last month I made the move from Washington DC to Seattle to join Synapse as a Project Manager. 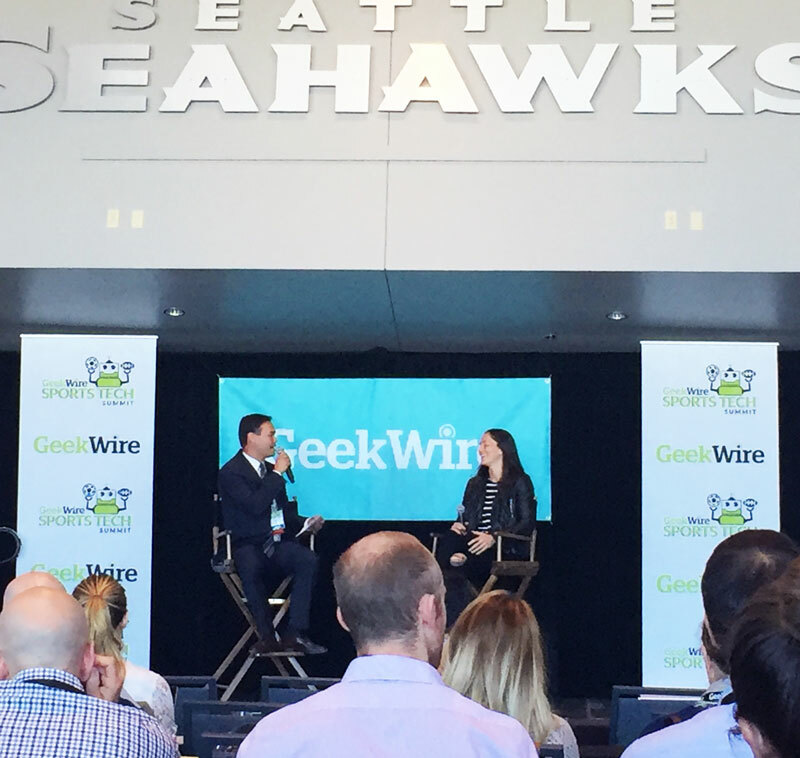 I’ve always been interested in sports technology, and I recently had the opportunity to attend the Geekwire Sports Tech Summit at CenturyLink Field. I didn’t know what to expect from the conference, but I was drawn to the theme of data capture and analytics. Throughout the Summit, I learned how data is used to monitor the health of the players, to better train the athletes, and how fans are consuming data and information relevant to their favorite sports. One of the first speakers of the day was Sue Bird, who plays for the Seattle Storm of the WNBA. She’s a huge technology proponent that believes tech can create even better athletes. Though it can be a process to go through to decide what wearable to wear, athletes have access to easy-to-understand data and can track their performance. Sue believes the difference between the best athletes is small, so if technology can provide an edge, you might as well take it! Throughout Sue’s talk, she spoke about the potential for virtual or augmented reality in the space of sports training. She mentioned creating different training scenarios through VR or AR and how that could save on the “wear and tear” on athletes’ bodies. This is a theme Synapse has noticed as well. During our SteamVR Tracking Training courses, we met with several companies who were looking to leverage the VR system for athletes! My favorite moment from the Summit had to be the fireside chat with Al Guido, President of the San Francisco 49ers. Al believes that the future of technology is in mobile devices and he discussed the journey to making Levi’s Stadium as connected as possible. Al showed a video of the connected experience on game day which featured the ticket reading device that Synapse helped to develop! It’s evident that Al and the 49ers are ahead of other teams and stadiums in delivering a better fan experience, and it was awesome to see how Synapse contributed to that success. Throughout the Summit, I was consistently surprised by the strong focus on data analytics as it relates to players and consumers. It seems like only recently that we had these devices to capture various performance metrics, and, now, we’re using that data for performance improvements and experience enhancements. I’m excited to see what is to come for sports technology and I’m happy to be on a team who will have a part to play in what that will look like!